I love b-grade horror movies. It is a guilty pleasure. One thing I love about horror in general is that there is a horror movie for every season. My bloody Valentine for Valentines Day, Silent Night Deadly Night or Gremlins for Christmas, Halloween for Halloween, there is even a mutant, killer turkey movie for Thanksgiving. But where are the Easter horror movies? I've never seen or heard of one of these rare gems. Is it so hard to make a holiday that was originally celebrated for the fertility goddess Oester into something scary or is it that Easter is simply too holy a day to be used for horror? In the Philipines, people are literally nailing themselves to crosses to celebtrate Easter. It seems like there might be room for a horror movie in that. Maybe I've missed something. 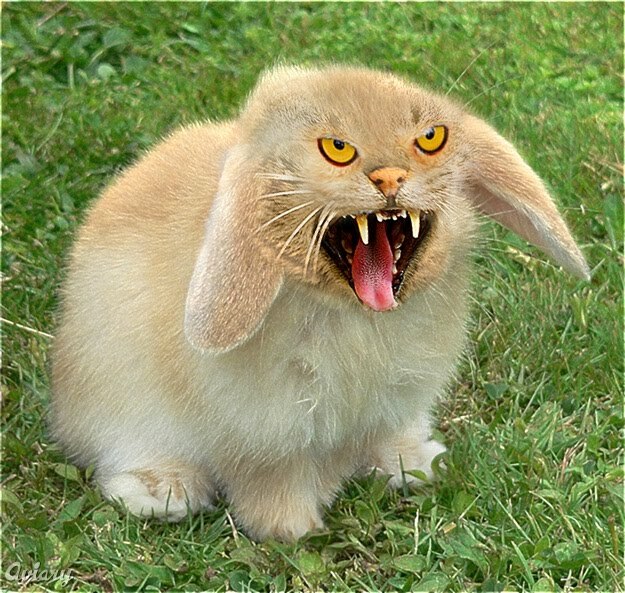 Maybe there is a killer bunny movie out there, but where? You shoulda asked me, honey, I believe the movie, "Critters" has a classic Easter bunny death scene that should meet criteria. You made my day. I haven't seen critters in a decade or so. I'll have to watch it again tonight! Critters what a great cheesy movie how many did they make 30 of them ? Snake Eyes, they made at least 100 critters movies, maybe more. Autumnforest, I will look for Night of the Lepus on Netflix. That sounds wonderful. Hehehehehe!..It's not an Easter movie but you will find the terrifying bunny of death in Monty Pythons The Search for the Holy Grail. It's wonderfully absurd! there is a Finnish film called "Bunny the Killer Thing", but it is not happening at the eastern time though.